Implementation of daily energy consumption monitoring in the buildings of O.M. 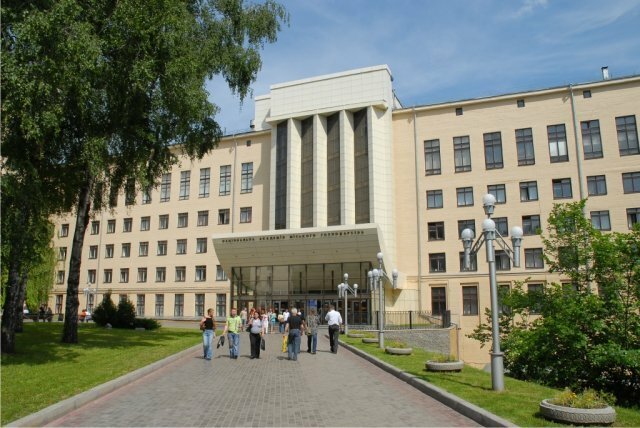 Beketov University as the first step towards energy management. Conduction of a wide and qualitative informational campaign at the University on efficient energy consumption for motivating the personnel and the students to save energy resources. Popularization of the project experience to other universities of Ukraine. Study visit to Poland for the working group of the project consisting of the representatives of the University responsible for the orihect implementation. Implementation of daily energy consumption monitoring (from one computer) in all O.M. Beketov university buildings. Replacement of the majority of meters (heat, water, electricity) for new modern ones with the digital data transmission channel in the University buildings. Gradual implementation of energy management at the University with a new energy manager position for more efficient energy usage. Conduction of a full energy audit of 10 University buildings, including 5 dormitories: detailed calculations, instrumental measurements and gradual buildings modernization plan. Installation of new equipment for water consumption decrease. Installation of demonstration LED-lamps in the University corridors or popularization of existing LED-lighting at the University. Wide informational campaign "SAVE ENERGY" at the University for students and teachers, in terms of which it is planned to explain simple things to people: informational stands about energy consumption, arrows and marks for electric sockets and switches, water mixers; principles of heat, electricity, water economy; conduction of seminars for employees and students of the University.